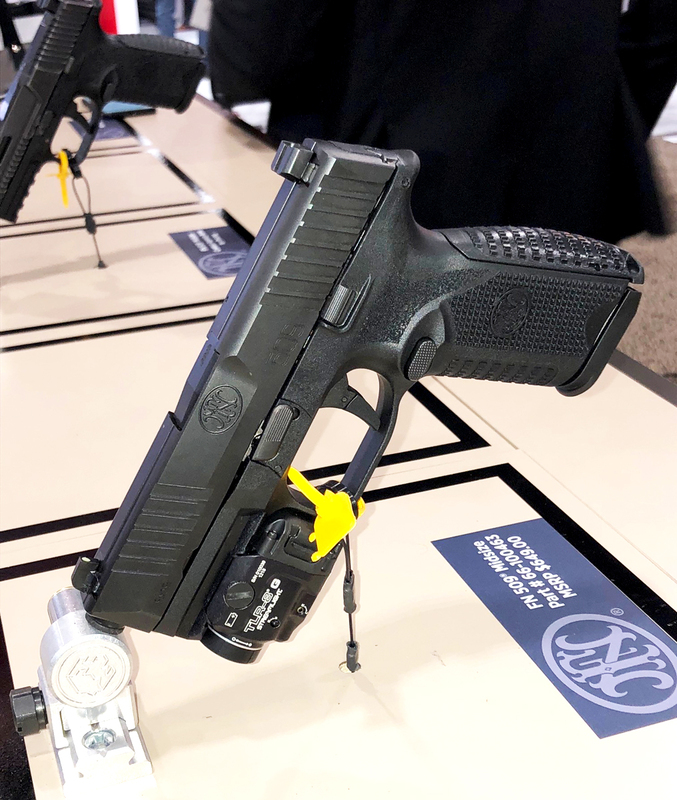 FN rolled out a couple new pistols this year, among them was the 509 M or Midsize, which was probably my favorite pistol in the booth because it embodies what a good carry pistol should be. In fact, FN took a lot of their lessons learned from the military’s modular handgun solicitation and rolled them into the 509 M platform. The 509 M has fully ambidextrous controls for the slide release and magazine release, replaceable back straps, and a comfortably contoured frame that fit my hand very nicely. The grip texturing isn’t overly aggressive but still effective enough that I feel like it’s not going to move around in my hand while firing. On the underside of the frame is a MIL-STD-1913 accessory rail for mounting lights and lasers. 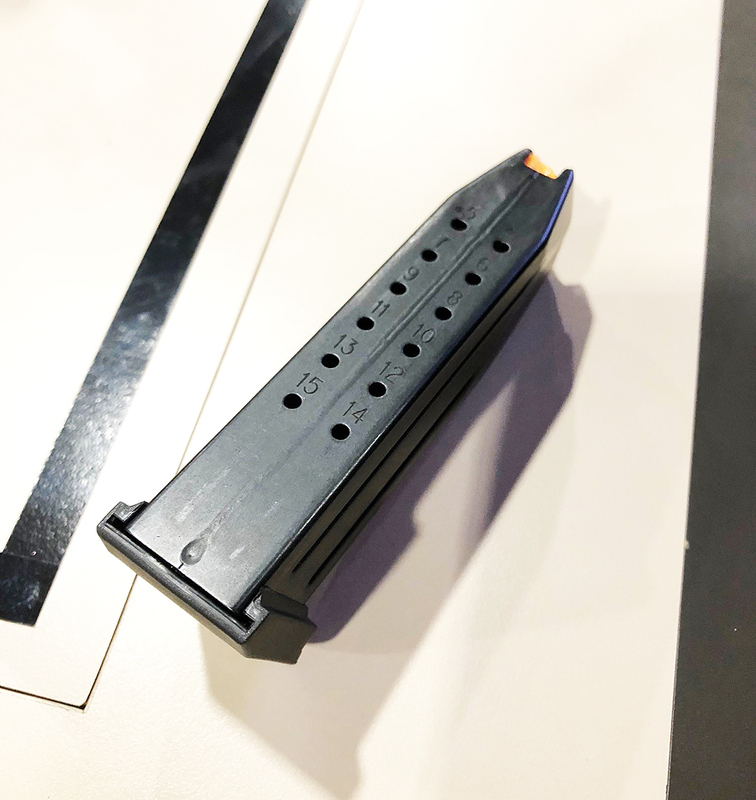 The steel magazines have indexing holes so you know exactly how many rounds are available and a blaze orange follower for easy, visual reference to know when it’s empty. The frame has front and rear cocking serrations and say what you want about the cool guy factor for doing press checks, front cocking serrations are a welcome sight in my opinion. The barrel is 4.0 inches in length, cold hammer-forged from stainless steel, with a polished chamber and feed ramp for feeding reliability. The standard sights on the 509 Midsize are your typical 3-dot arrangement but what makes them stand out is that they are photoluminescent, meaning they are charged by light. 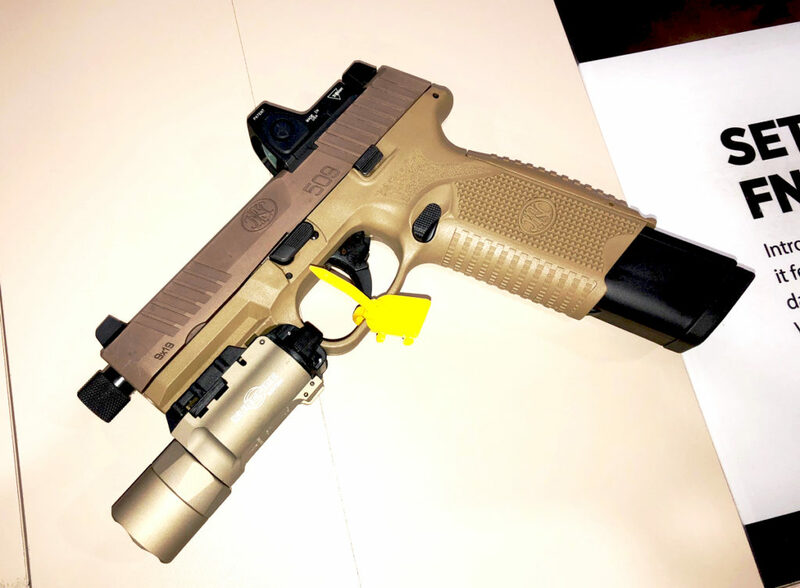 Considering that most manufacturers are sending out duty pistols with plastic sights or painted three-dot sights with no low-light capability whatsoever, these photoluminescent sights are a clever addition. 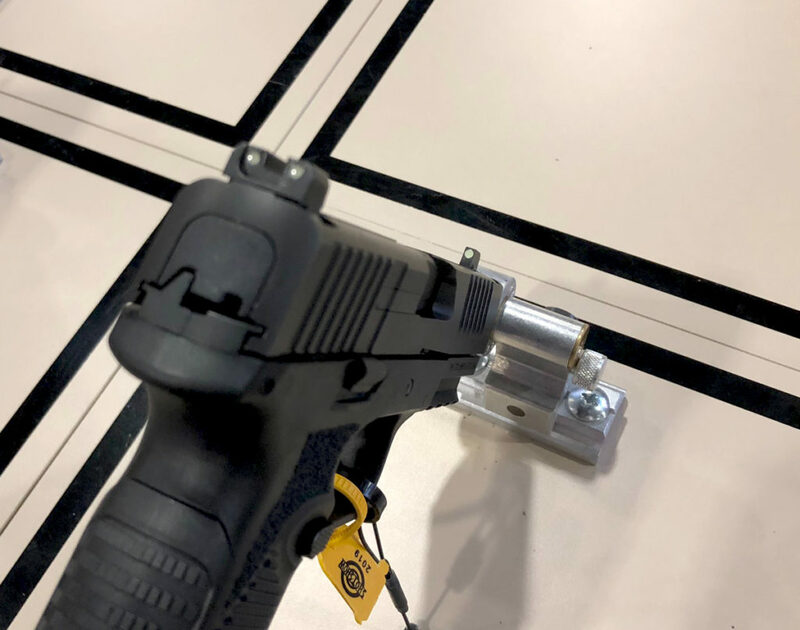 The rear sight has also been designed with a flat front so that you can hook on a belt, boot, or pocket and charge the pistol if you are injured. Available now in black only, the 509 M has an MSRP of $649. The 509 M’s big brother is the 509 Tactical, which sports some very cool features that could be appealing to some in the competition and law enforcement market. Right off the bat you’ll notice that it’s suppressor capable, with a 4.5-inch cold-hammer forged stainless-steel barrel threaded in the standard 1/2-28. 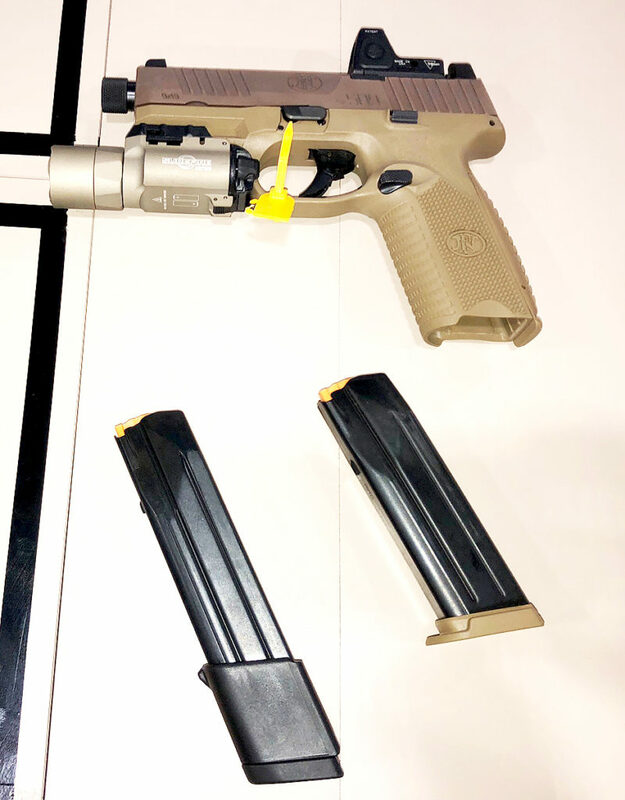 You may also notice that the pistol grip on the frame is a little longer and this is to help accommodate the 24 round magazines that come standard with the pistol. Purchasers receive two 24 rounders and one 17 rounder. Probably the coolest feature that you may not see right away is that the 509 Tactical is optics ready for 10 different red dot optics. It can accept mini red dots from Burris, C-MORE, Leupold, Trijicon, Vortex, as well as others, with the ability to adapt to future releases. 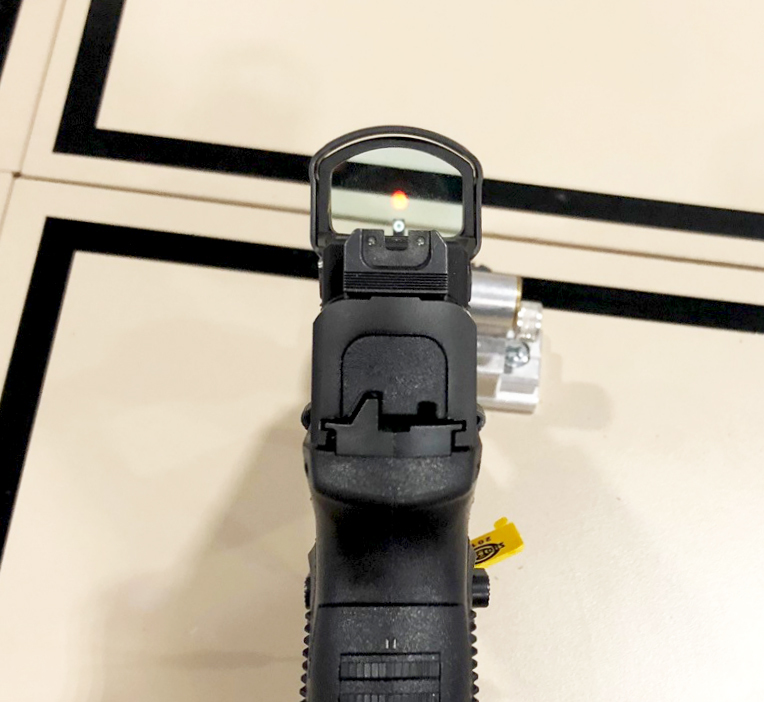 The standard fixed sights are suppressor compatible 3-dot night sights that are protected by a winged slide cap when a red dot sight is not in use. The 509 Tactical is available now in black and FDE for an MSRP of $1,049.